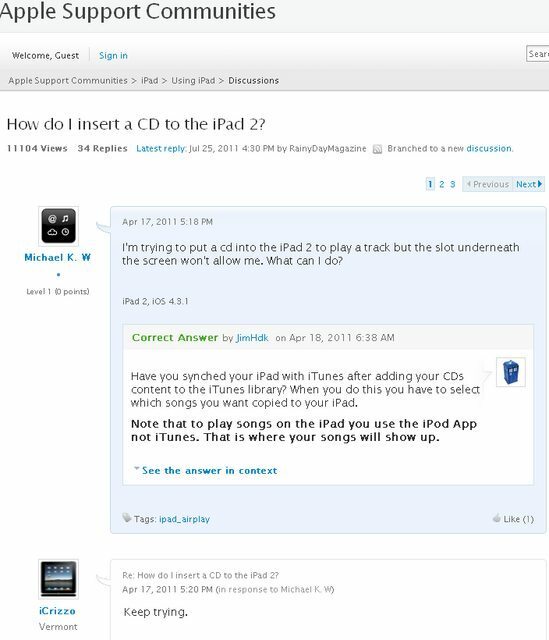 WTF: How do I insert a CD to the iPad 2? How do I insert a CD to the iPad 2? I’m trying to put a cd into the iPad 2 to play a track but the slot underneath the screen won’t allow me. What can I do?